EyewearTown.com is an online store which has established itself as the leading e-tailer of discount designer and name brand sunglasses. The philosophy that there is no need to pay full retail. Our motto here at EyewearTown.com. Everything is 100% authentic and merchandise is offered in the latest styles and colors. The number one goal, to satisfy all customers, is accomplished by providing the largest selection of products at the lowest possible prices, delivering products in a timely fashion, an automated and bar coded warehouse and an in-house customer service center. 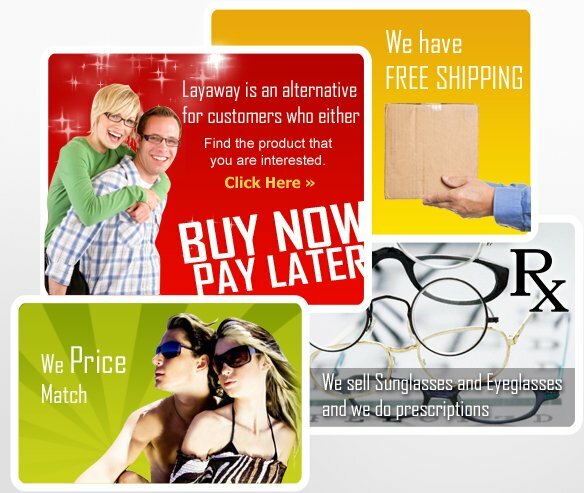 EyewearTown.com's quick delivery and outstanding customer service have impressed customers around the globe, providing top-quality, brand-name designer discount eyewear at great discount prices. Our Mission here is always ensure that you receive the highest quality eyewear making it an easy sale for you. Our collection always includes current hottest styles and fashion trends. We never forget that our most valuable asset is you the customer. With that in mind we want to know what we can do to make your shopping experience with us a positive one. With respect to product quality, our goal is to ensure that our customers receive the highest quality eyewear and the best products available.